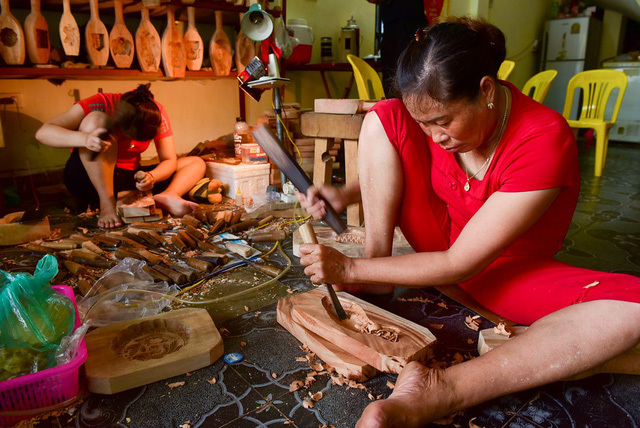 A family in Hanoi has spent up to 35 years on making wooden-made mooncake moulds. 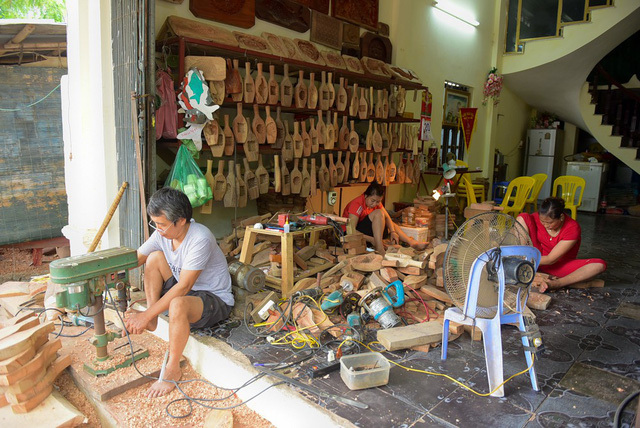 Tran Van Ban’s family in Thuong Cung Village, Tien Phong Commune, Thuong Tin District is among the last households in the village which still pursue this work. 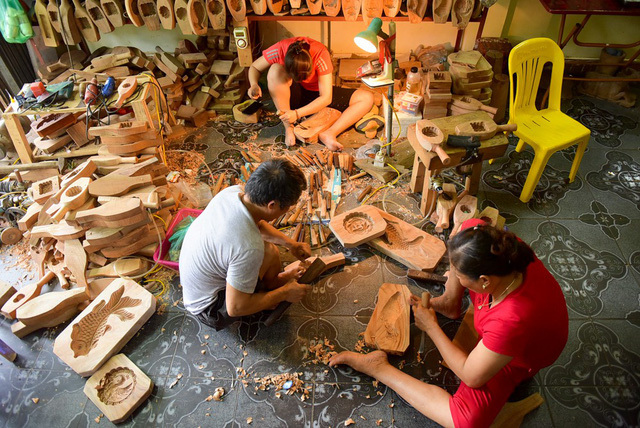 Every occasion of the Full-moon Festival, Ban’s family produces around 500-600 mooncake moulds. Each mould is priced at VND150,000-300,000 (USD6.81-USD13.63), depending their size. Big ones can be sold up to around VND1 million. 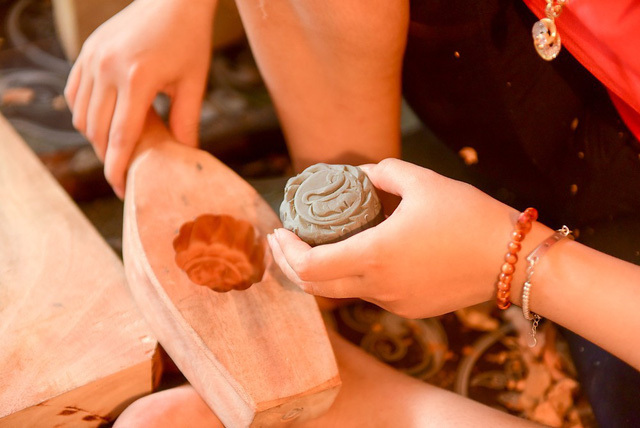 Previously, mooncake moulds were used to be made from Khaya or Thi wood but now it scarcer, so Ban uses aragonite instead. 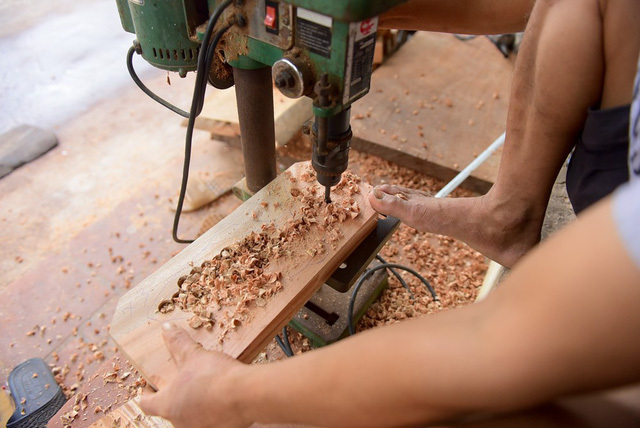 Ban’s family is among the few households in Thuong Cung Village which has still pursued this work. 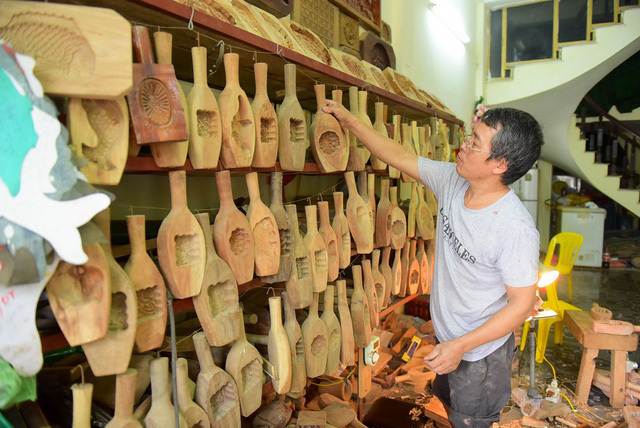 Many people still prefer traditional wooden moulds although plastic ones are flooding in the market. 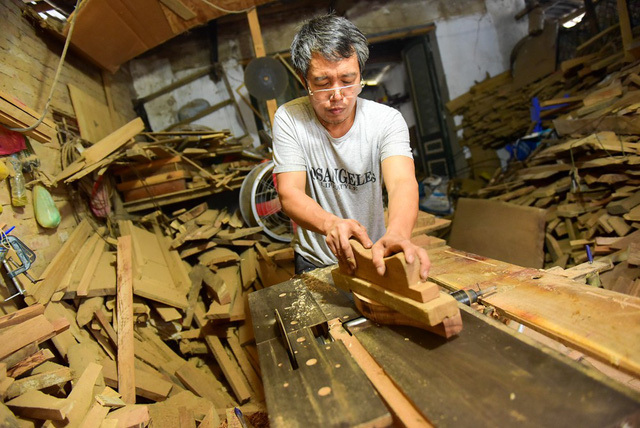 It requires many steps to make a wooden-made mould. Firstly, Ban draws the preliminary shapes of mooncake moulds. Then he uses a saw to cut the wood. He often uses a compass to draw the shapes to ensure accuracy. 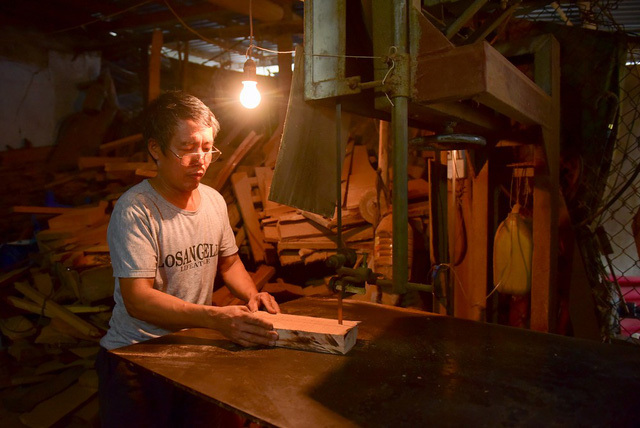 His family buys wood from different sources, mostly the trees cut down for transportation projects. 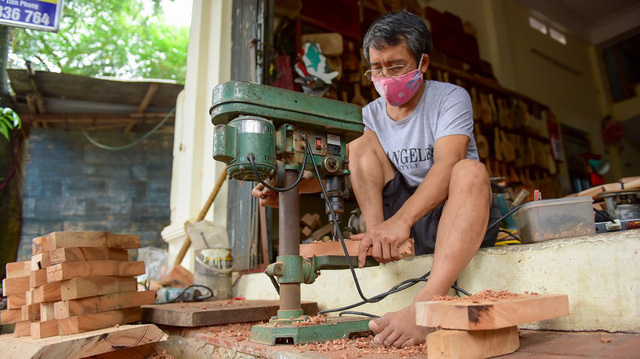 According to Ban, now his family could produce the moulds quickly and better thanks to machines. 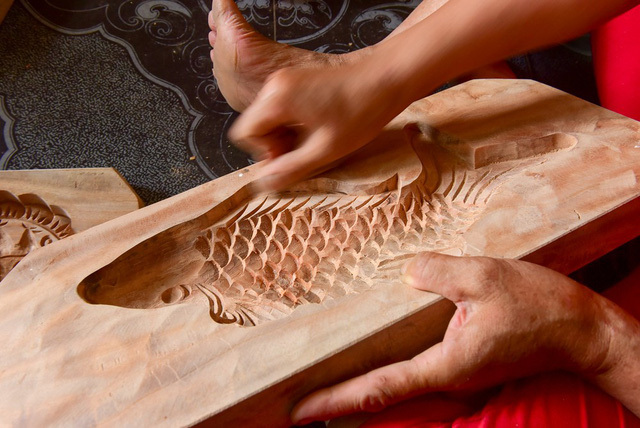 The most important stage is creating decorative patterns for moulds, which needs craftsmen’s skills. 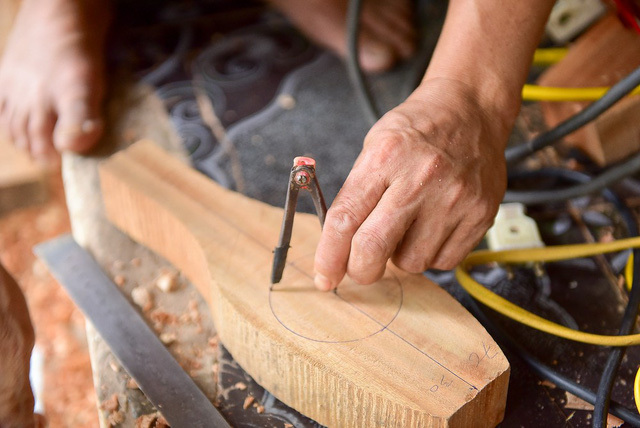 To check the mould quality, clay is used as the material to test moulds so that craftsmen can detect what is missed. They also take photos of what is created from moulds using clay to show customers. The final step is to polish the mould surface with abrasive paper.